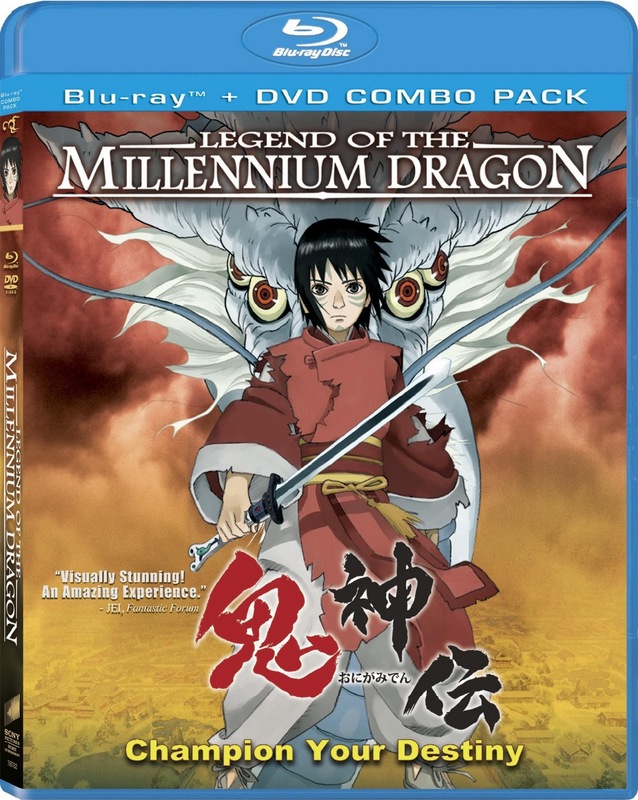 Checking out LEGEND OF THE MILLENNIUM DRAGON on this Blu-ray Combo Pack was simply visually amazing! I'm not the biggest anime fan but the animation and crisp visuals on the Blu-ray is amazing! The movie is based on Takafumi Takada’s beloved 2-volume novel of the same name. We watch a boy thrown into an ancient world full of monsters and demons and human with crazy powers battling it out. Some of the story reminded me a little of The Never Ending Story, except in this we get a boy and his mythical dragon. The battles that are set in front of their backdrops makes for awesome eye candy. That's what makes this movie so cool is the animation mixed in with the story. Another plus is you have the choice to watch the movie in subtitles or dubbed in English, which is what I did. But that's not all, I've added the endless list of subtitles and languages you can watch it in at the bottom! Also, the movie might be a little too much for a younger audience since it is PG-13 so you should take notice on that as some of the scenes get a little intense. 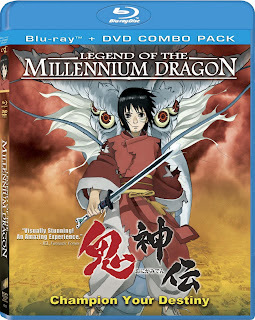 Bottom line is if you enjoy anime then this Legend of the Millennium Dragon Blu-ray Combo Pack will be right down your alley! It's not the best anime movie I've ever seen but it was a lot of fun and great for the international audience. 3/5 Legend of the Millennium Dragon comes out on Tuesday, October 4th. Special Features: Great concept art include!